The Blot was super pumped to learn one of my favorite figures, Josh Herbolsheimer’s Rose Vampire, was making a surprise appearance at Designer Con 2017 in a super sleek black colorway! 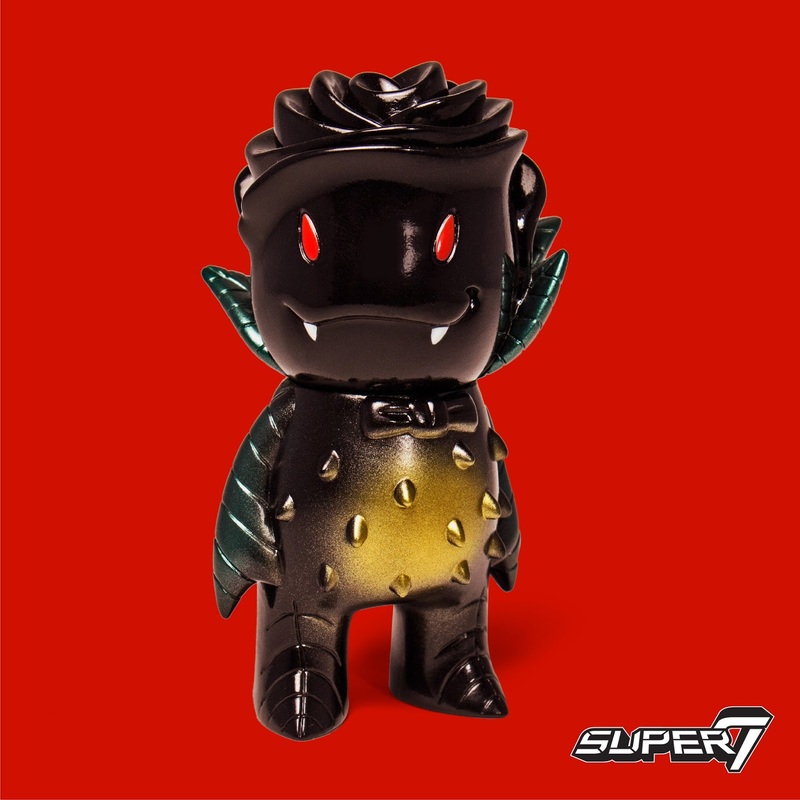 The Designer Con Exclusive Midnight Monster Rose Vampire stands 4” and is cast in black soft Japanese vinyl with red, metallic green and gold sprays. I just hope this means we'll be seeing more Monster Family vinyl figures from Super7 stoon! Collectors can purchase this awesome new edition at Super7’s DCon booth #212 for $35.